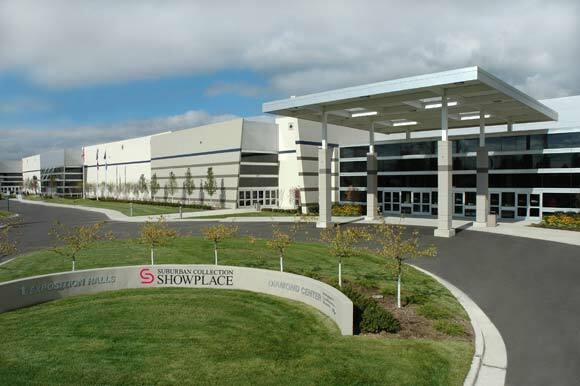 Suburban Collection Showplace is Southeastern Michigan's premier exposition, conference, and banquet center. Each year 1.5 million people enter through a grand atrium style entrance to over 23, 000 square feet of per-function, lobby space and a total of 214.000 square feet of multipurpose exhibit floor. Suburban Collection Showplace is conveniently located at 46100 Grand River Avenue, between Novi and Beck Roads in Novi, MI; and can be accessed from I-96 at the Novi and Beck Road exits.